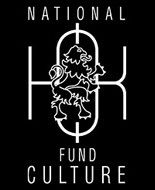 In 2013 Chamber Ensemble "Silhouettes" was approved by National Fund "Culture", program "Debuts" for realizing a project. 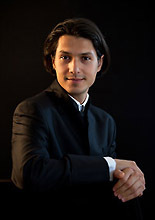 It is named "Contrasts" and it includes two concerts, which will take place in Chamber Hall "Bulgaria" in 2014. Works by Bulgarian and European composers, such as L. Pipkov, K. Iliev, V. Kazandjiev, W. A. Mozart, J. Brahms, M. Ravel and others will be performed. Live broadcast in Internet is planned for each concert in order to reach a larger number of people beyond the concert hall. and the young musicians of Bulgaria! for our participation in International Summer Academy ISA13 of the mdw – University of Music and Performing Arts, Vienna! Many thanks from the Chamber Ensemble "Silhouettes" to Foundation "Jordan Kamdzhalov"
which graciously provided funds for our trip to Austria in 2013.